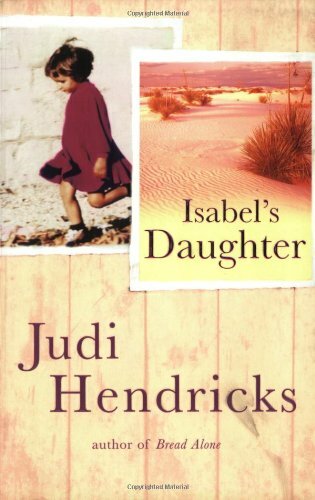 by Judi Hendricks | Literature & Fiction | This book has not been rated. Avery James didn't have the easiest start in life. Abandoned by her mother, and brought up in foster homes, she developed a hard shell to protect her from caring for people who always seem to disappear. Now twenty-five, Avery is working for a smart caterer. And at a party in the home of a wealthy art dealer, she stumbles upon the portrait of a woman who is the mirror image of herself, right down to her most distinctive feature: her two different-coloured eyes. Avery has found her mother, Isabel Colinas, an artist who died eight years earlier in a tragic accident. Searching for Isabel - in her work, in the stories of friends, rivals and lovers, in Isabel's own journal - Avery is drawn into complex relationships with the people who knew her mother, and she soon realises that her discoveries about Isabel reveal not only the secrets of the past, but the shape of her own future. Picked up from angie19 in a box of books. I have enjoyed other books by this author so I am looking forward to reading this one.